Liquid cleaner with bleach features a proprietary blend of conventional and short-chain anionic surfactants for powerful cleaning. Surfactant bleach formula features two short-chain surfactants that act like solvents to cut through grease and other soils. Its liquid chlorine bleach ingredient provides a wealth of well-known bleach benefits. 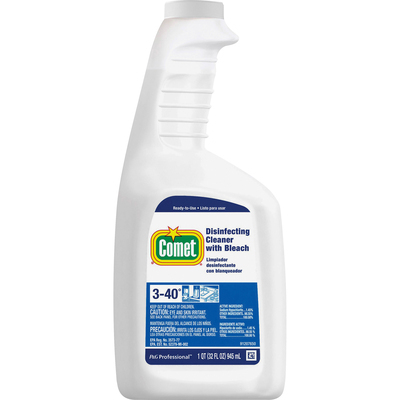 Cleaner comes in an easy-to-use trigger spray bottle to quickly clean countertops, tables, cutting boards and more.